The Hammerman Poet - Swindon's forgotten writer? 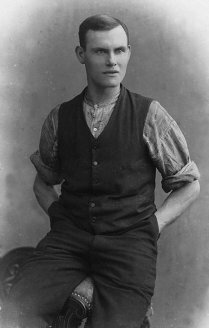 Alfred Williams was born at South Marston in 1877, the fifth of eight children and the son of a carpenter and a farmer's daughter. He grew up in poverty as his mother had to raise the children single-handed after his father left home. She sold sweets and delivered newspapers to help make ends meet. Alfred (see picture, right) was like any other young boy with his fascination for trains and machinery and once, when he was ten-years-old, laid down between the railway tracks for a dare while a long train rattled above him. His education was poor, despite his mother's efforts. When he was only eight he became a 'half-timer', working part of the day on a farm and the rest at school, and left school altogether three years later to become a farm labourer. This suited his love of the countryside, but, as with many young men in the Swindon area at this time, the prospect of much better pay at the GWR railway factory easily persuaded him to go 'inside' when he was fifteen. Two of his brothers were already employed at the factory, four miles away, and he, too, made the daily walk into town. It was 1892 and the works had already spawned a thriving community. 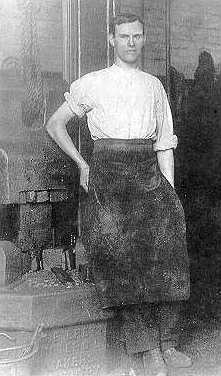 Alfred joined in the year that the workers' swimming baths in Milton Road were opened and he worked first as a rivet hotter, then as a furnace boy in the stamping shop before becoming a drop-stamper in 1893. It was here, in the hot and physically demanding stamping shop that Alfred was to spend all of his 23 years in the GWR's employment. Alfred's heart, though, was always in the countryside and he spent time learning its ways and painting its landscapes. He was also determined to educate himself and in 1897 began reading in earnest, even utilising his dinner hour, to the amusement of his colleagues at the factory. In 1900 he embarked on a four-year English Literature course with Ruskin Hall, Oxford, even learning Latin to aid his studies. At the age of 26 he married Mary Peck, a moulder's daughter who was to dedicate her life to him. For many years they lived at Dryden Cottage, South Marston. Alfred's studies continued. He would rise at 4am each morning to teach himself Greek and French before the walk to work and he showed a remarkable ability to master languages. To help him learn he chalked words on his furnace at the factory, which raised more eyebrows among his work colleagues. By 1907 he was writing his own verse and two years later published 'Songs in Wiltshire', a collection of love songs and nature poems which he peddled around the countryside at weekends. His health was already beginning to suffer from his self-imposed routine of work, education and writing, but he published 'Poems in Wiltshire' in 1911, thanks, more than ever, to his wife's support. Extract from 'Liddington Hill' published in Songs in Wiltshire, 1909. He was now well known in Swindon, where he lectured in the Mechanics' Institute, and had also been a guest at a poets' dinner in London. It was there that a reporter had suggested that he wrote an account of his life as a hammerman and he set about the book in the summer of 1911. 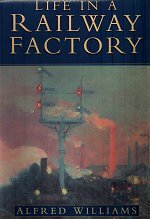 'Life in a Railway Factory' was to become his greatest work and his greatest legacy and is all the more remarkable in that it was written in twelve weeks "at night, after leaving the forge". "I have written a prose book this summer... which greatly pleases me," he wrote. "I have the confidence to hope that it will be of interest to a great many when I have the opportunity of printing it, which will not be yet, however." He could not publish the book while he relied on the GWR for his employment because the picture that it painted of the life endured by the workers would immediately have earned him the sack. Though 'Life in a Railway Factory' was shelved, he still continued to write both poems and prose, publishing 'A Wiltshire Village' and 'Villages of the White Horse'. He was now very highly regarded as a writer, both locally and outside his home county, but had spent his life savings on publishing his books and considered emigrating to Canada. Fortunately, his new books sold well and he was able to publish a new book of poems, 'Cor Cordium' in 1912. But Alfred was fighting a losing battle with his health and in February 1914 was forced to "lie up for a week or two" after suffering "violent pains below the heart". His digestive system had been almost destroyed by the harsh working conditions and by September 1914 he was forced to leave the works, chalking the single Latin word, "Vici" - I have conquered - above his furnace. Now, at last, 'Life in a Railway Factory' could be published and it was immediately acclaimed by the critics. The Daily Chronicle called it "a book of revelation" while The Times produced a lengthy review that began: "This book may be read either as pure literature or as a social study; it is both." And it continued: "Mr Williams puts into words what he sees as well as he can, and since he is a born observer with a gift of words and a love of truth, and since his subject is real life, the result is admirable." Only the GWR magazine appeared to dislike the book and accused Alfred of being a bitter man whose heart was really in the countryside. They concluded: "He detested the factory simply because it was a factory. To him the buildings, because they shut out views of hills an fields, were like fortresses or prisons." The truth really did seem to hurt. Though the book was received well by critics, it did not sell well and, incredibly, only about a dozen copies were sold in Swindon in the first year - perhaps an indication of the fear that the townfolk had for their jobs if seen associating themselves with such a work. Alfred was bitterly disappointed. Fascinated by the country, at one stage he moved to Ranikhet, within sight of Mount Everest and his experiences refuelled his thirst for writing. He even considered settling in India, but returned to South Marston in 1919 - to a life of poverty. Only a grant from the Royal Literary Fund helped him through these difficult times. Now almost forgotten as a writer, Alfred still had not lost the taste for all the things he had done before. He continued to write, publishing 'Round about the Upper Thames' and 'Folk Songs of the Upper Thames' and taught himself a new language - Sanskrit. 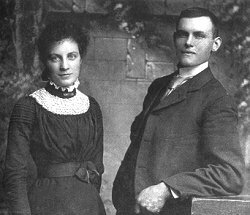 Alfred and Mary even built themselves a home from old bricks salvaged from the locks of a disused canal, which they called 'Ranikhet' and moved into in 1921. But they were hopelessly poor and by 1930 Mary's health was also suffering. When Alfred discovered she had cancer it was too much for him and he died in April, 1930. Mary died a few weeks later. 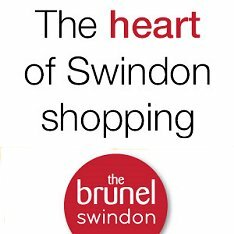 Alfred Williams' legacy lives on in his rich and varied writings, while 'Life in a Railway Factory' is undisputed as the most important literary work ever produced in Swindon, about Swindon.